On April 11, 1930 Thomas Henry Marbury was born to the parentage of Mr. Johnson Marbury and Mrs. Willie Mae Marbury in Coosa County, Alabama. Mr. Marbury confessed Christ as his Lord and Savior and United with Saint Thomas United Methodist Church. He was an active member until his health decline. Mr. Marbury worked many jobs but was well known and highly requested as a professional carpenter. He was also interested in studying the Holy Bible and enjoyed gardening. On Monday, March 25, 2019, Mr. Thomas H. Marbury departed this walk of life at his home. He waspreceded in death by his wife, Cumia J. Marbury; parents, Johnson and Willie Mae Marbury; brothers Robert and Willie F. Marbury; and 1 sister Johnnie Mae Marbury. 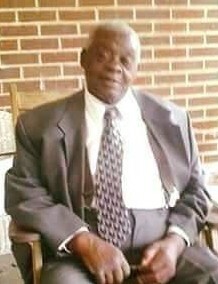 He leaves to cherish his memories 2 daughters Theresa (Tony) Smith and Carla D. Smith both of Sylacauga; a brother, Ruben Marbury of San Francisco, CA; 5 grandchildren, 8 great grandchildren; and a host of other relatives and friends.